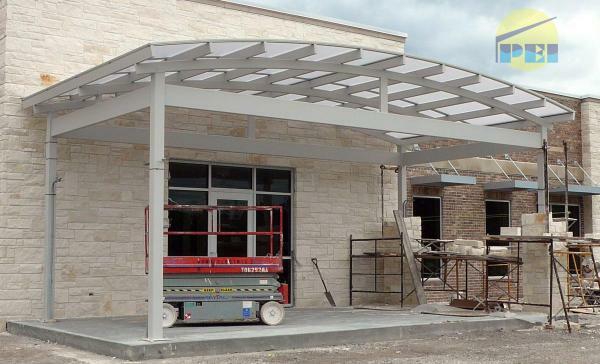 A 30' wide x 17' long arched polycarbonate roof Porte Cochere main entrance, with custom silver color baked enamel painted frame. 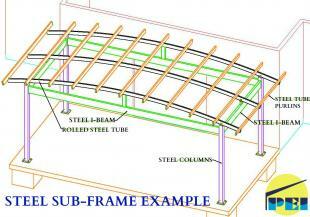 The steel subframe was fabbed and installed by others...PEI can provide the design. 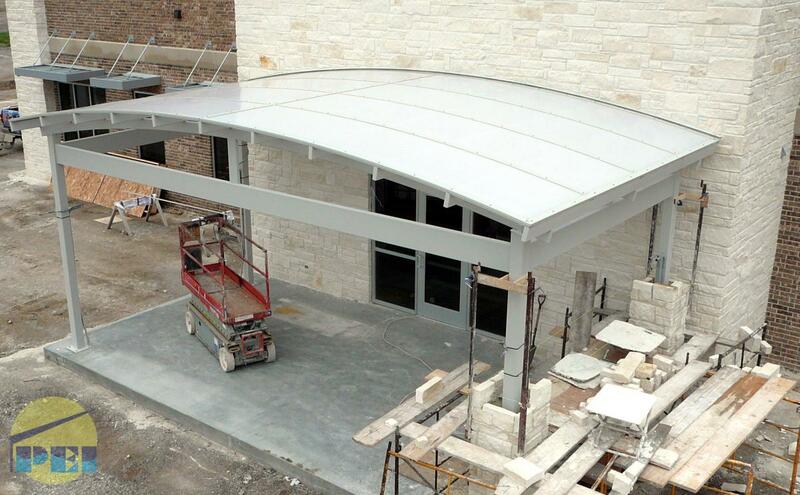 The aluminum screw base and cap skinning system with 25mm 5X wall opal polycarbonate was provided by PEI, and installed in about 8 hours.